If I could wear a flannel everyday for the rest of my life I would totally be ok with doing so. 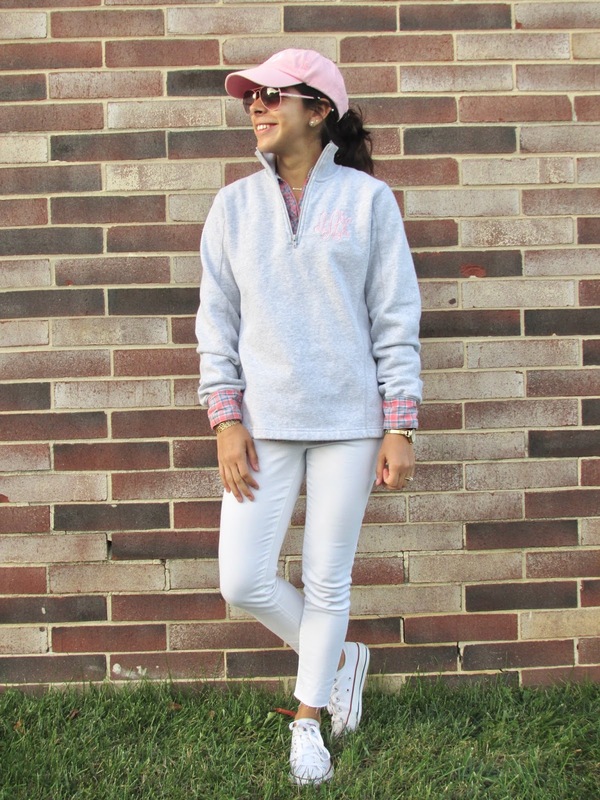 They're comfy, come in a variety of different colors, and you can style them however you want. 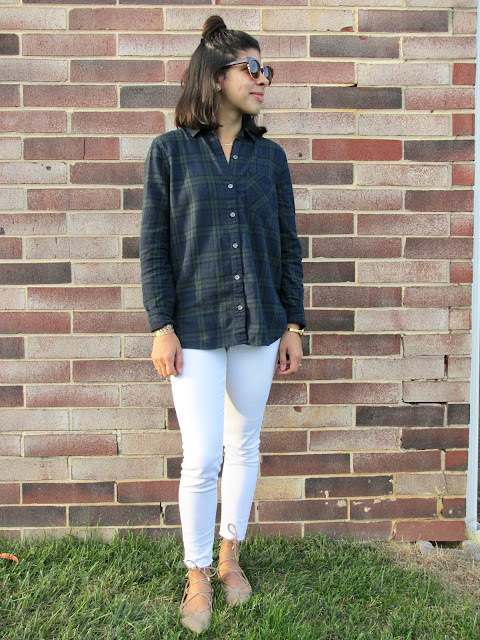 Since flannels are basically a hit for fall, I figured I'd share a few of my favorite ways to style them. The simplest way possible, with jeans. The best thing about this look is you can substitute and add whatever accessories you want. 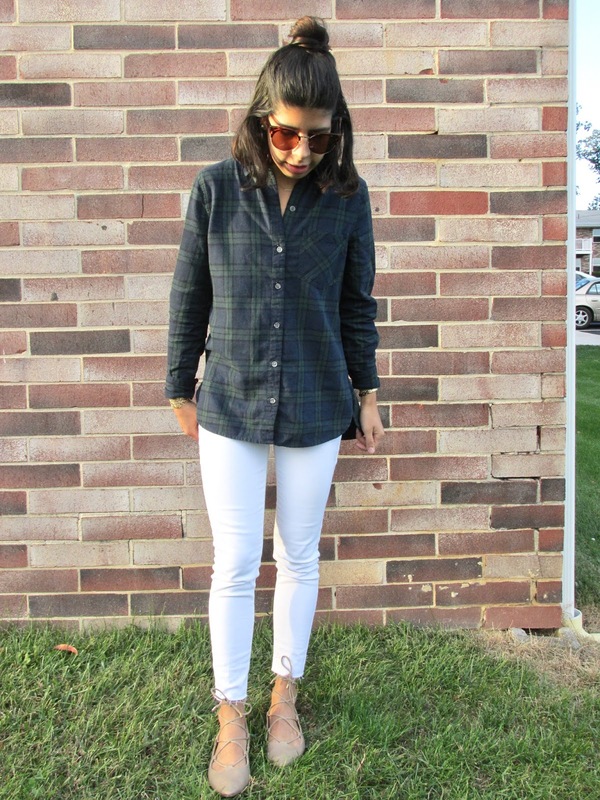 I took a casual approach to this look and went with a pair of white jeans and lace-up flats. However, you could switch out the flats for Converse, booties, or even sandals if the weather is warm enough. Sometimes I'll even add a vest to make my outfit more cozier! This is my favorite way to style a flannel during winter—with a sweater/sweatshirt. 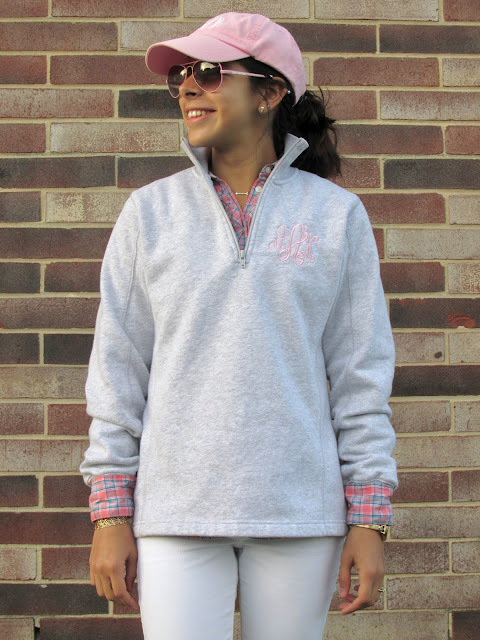 For this specific flannel I always go with my pullover monogram sweatshirt because they go together so perfectly and it's a nice lazy day look. But putting a sweater over your flannel works just as great and it keeps you extra warm! Whenever I wear an outfit with one color scheme I like to go for my flannels to add some color. It's a simple look that doesn't require a lot of thought and you can either put it around your waster, like I did, or actually wear it. 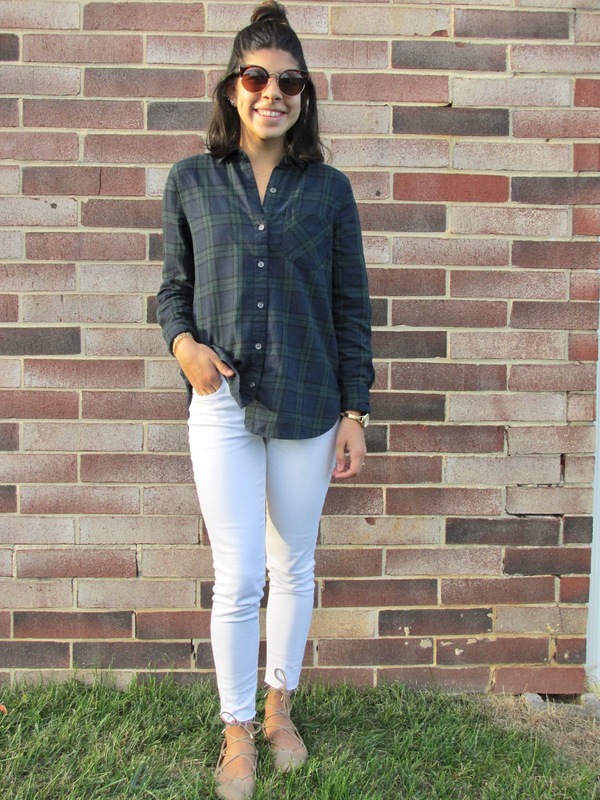 Either way, you can never go wrong with a flannel!